Kathy deeply respects the mystery of life unfolding in each unique person. Through her ministry, she offers a life-giving approach to finding the Holy in all things. Read more about Kathy’s areas of experience in Spiritual Direction on the What to Expect page. Kathy proudly hails from southern California. She began her working career as a Navy Nurse during the Vietnam War at the Philadelphia Naval Hospital working on medical-surgical and psychiatric units. She later worked as a social worker in the Public Health Department in Goshen, Indiana. After moving to Allentown, Pa and studying pastoral counseling she practiced individual and couple therapy as well as facilitating support groups for widows and widowers and divorced and separated individuals. She also taught parent education classes. 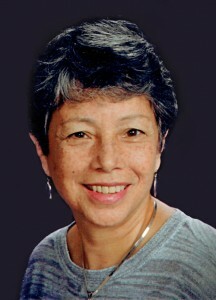 Kathy lives in Mount Airy, Philadelphia with her husband Gene. She has two daughters, Rachel, who lives in New York is Director of Programs at Let’s Get Ready, a nonprofit that helps underserved students attend college. Sarah, who lives in Boston with her wife is a touring musician and currently studying towards a graduate degree in Social Work. Directed Silent Retreat Weekend: Come…Let Your God Love You, St. Mary-by-the-Sea, NJ.